Capital Financial Group | Financial News | It Doesn't Hurt That Much - It's Only Pain(t)ball!! 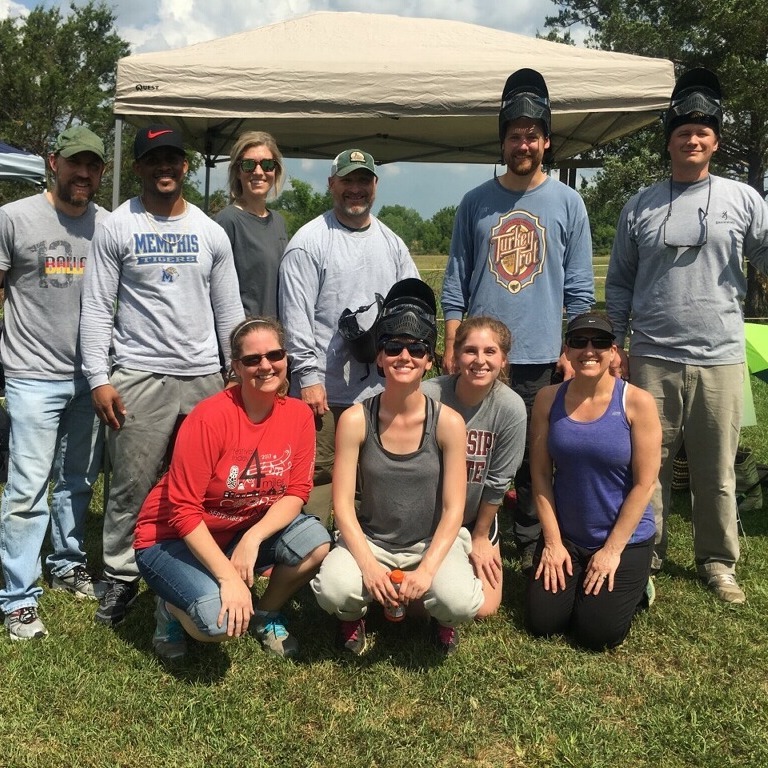 Greater Memphis Chamber of Commerce put its first annual paintball match on Friday June 15th at Shelby Farms. Capital Financial Group was a sponsor for the event and also fielded a team of 10 at the event. The team won their first match in the double elimination tournament against Ruth Chris Steakhouse and then lost to Turner Construction in the second round. In the elimination match it came down to them and ProTech and in overtime ProTech took the win. The spirit of friendly competition was present and the Capital Financial Group team had lot of fun at the event. “We had a blast! It was really a great time. We are now all bruised up and showing off our bruises in the office. We cannot wait for next year!” Mike Vinson, Director of Recruiting exclaimed.